La Bastide d'Esparon is located in the untouched and intact hamlet of Esparon which is a 'Village Classé'. You are at 700 meters--the eagle’s-eye views are amazing and it is genuine rural France overlooking the National Park of the Cevennes. 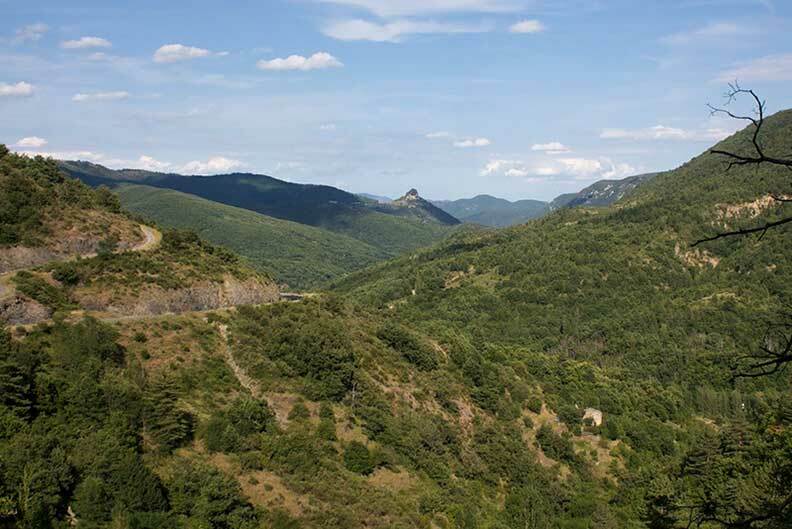 This part of the Cevennes joined in 2011 the UNESCO Natural World Heritage for its authentic natural landscapes. La Bastide d'Esparon is situated in the Languedoc-Roussillon in the Departement of Le Gard. 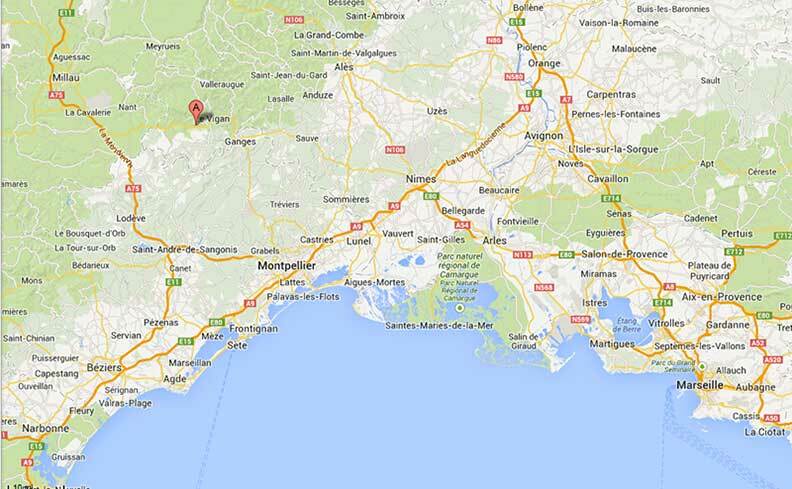 45 minutes from Montpellier and Nîmes airports, bus and train stations. From those 2 cities, you can rent a car. If friends come to visit, from Nimes and Montpellier there are very cheap buses (less than 25 euros) which will take you into Le Vigan, which is 10 minutes from the house. Near La Bastide d'Esaaron, you can visit the area of The Languedoc, Les Cevennes, Les Causses and go to all the great summer festivals of Avignon, Arles, Sete, Aix. Aix-en-Provence or just take great walks and enjoy the fantastic rivers and untouristy quality of the region. Walking distance from many GR Walking trails and local farms and refreshing rivers. In The Parc National des Cevennes. Esparon is a Village Classe. In the UNESCO World Patrimony. 10 minutes from Le Vigan for shopping and local farmer's market. 30 minutes from Le Cirque de Navacelles, The Templar Village of La Couvertoirade. 30 minutes from Le Mont Aigual. 45 minutes from Nimes, Montpellier and Millau. 1:30 hour from Avignon, Marseilles, La Camargue and The Mediterranean. The hamlet of Esparon is a medieval Village dating from the XI th century. It is a very pitoresque ensemble of 25 houses with a chapel and fountain, and remains of remparts and towers. Bastide d'Esparon is located on top of this eagle's nest standing in front of you. View of the hamet with its 25 stone houses. The Bastide d'Esparon is located in the upper part of the village. Numerous hikes with breath-taking views. The XI th century Roman Chapel and its celmetary on top of the hamlet. 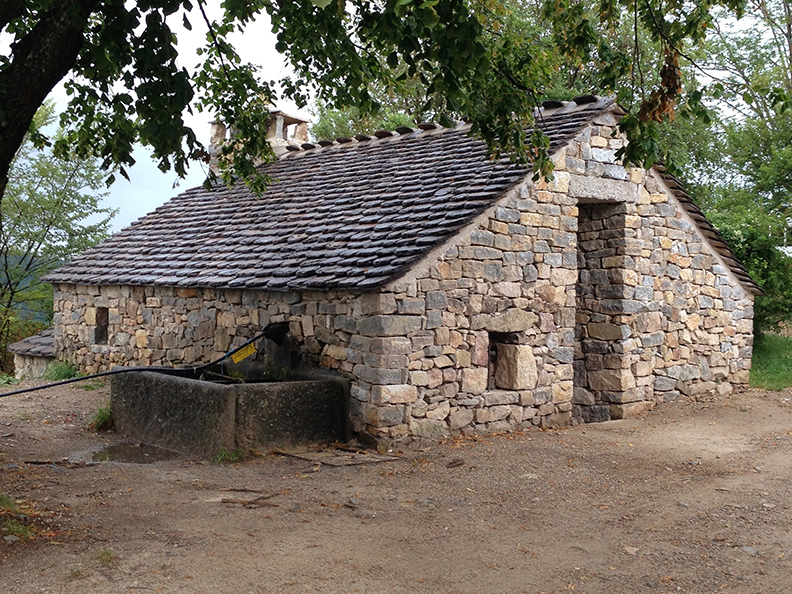 Fountain with eau de source and Communal Oven. Views from the top of the hamlet. Views on the mountains during hikes. Swimming and canoeing in the local rivers of the Vis and L'Herault. Panoramic view of The Hamlet of Esparon from the bottom. 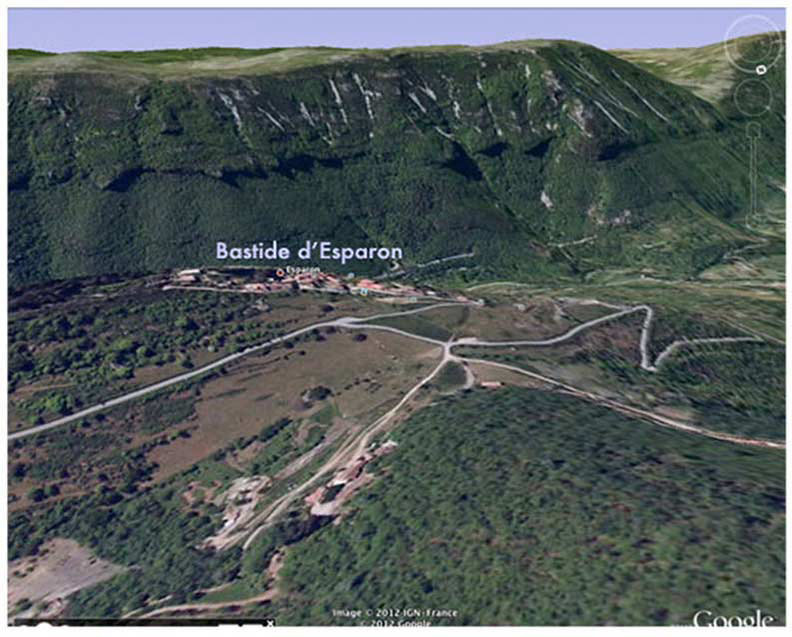 Google earth 3 D View of Esparon. 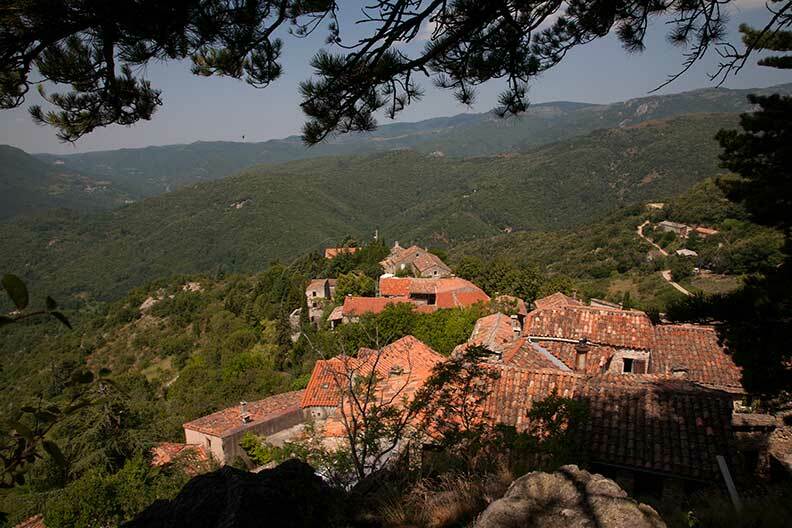 Bastide d'Esparon is located in the small and untouched hamlet of 25 stone houses of Esparon which is 6 kilometers from Le Vigan in the untouched Cevennes Meridionales. The eagle’s-eye views are amazing, the calm absolute, genuine rural France; Situated in The Parc National des Cevennes in the Departement du Gard. Bastide d'Esparon is located in the untouched and intact XI century hamlet of Esparon which is a 'Village Classé'. You are at 700 meters--the eagle’s-eye views are amazing and it is genuine rural France. 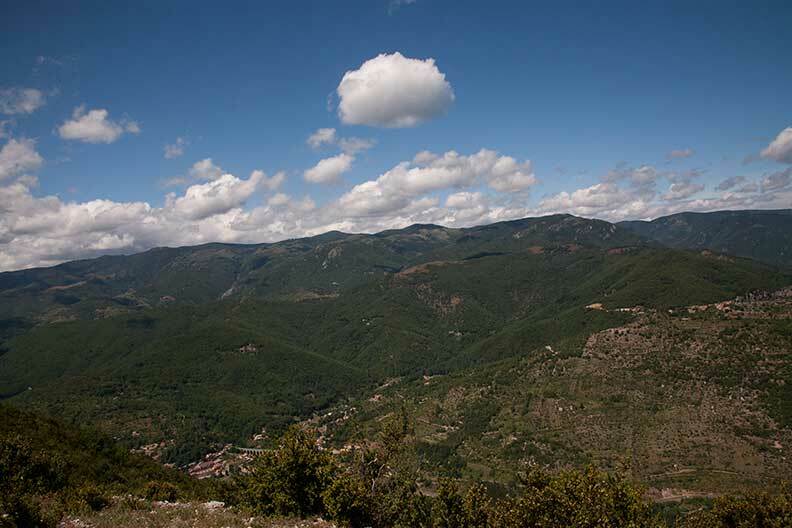 This part of the Cevennes joined in 2011 the UNESCO World Heritage for its authentic natural landscapes. 1/SWIMMING/RIVERS: 15 TO 30 MINUTES. 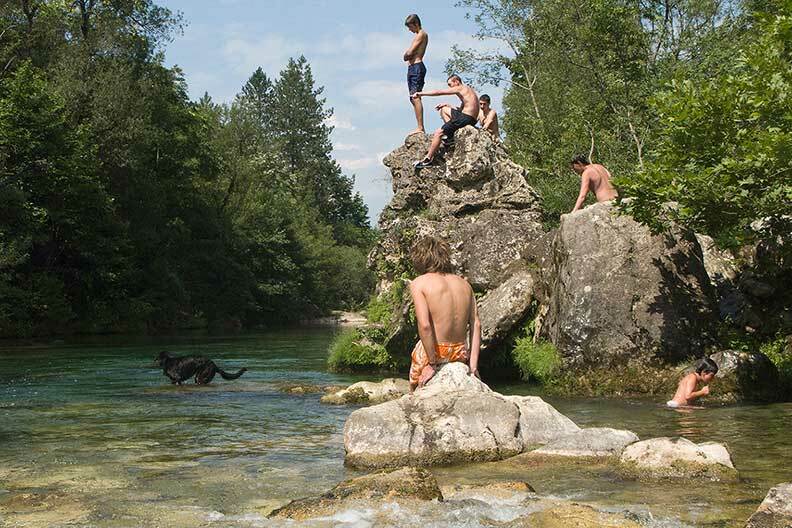 GANBES AND SAINT-LAURENT DU MINIER: Swimming and Picnics in La Vis and l'Herault. CIRQUE DE NAVACELLES • Natural Sightseeing & Swimming. Incredible canyon, Wonderful cascades. great picnic and swimming hideouts with no one there but you. 2/ SIGHTSEEING AROUNG ESPARON-0TO 20 KILOMETERS. ESPARON: La Bastide d'Esparon is located in the small and untouched hamlet of Esparon 6 kilometers from Le Vigan in the untouched Cevennes Meridionales. The eagle’s-eye views are amazing, the calm absolute, genuine rural France; Situated in The Parc National des Cevennes in the Departement du Gard (Languedoc Roussillon Region). 40 minutes from Montpellier and Nîmes by train or plane. Where you are staying. 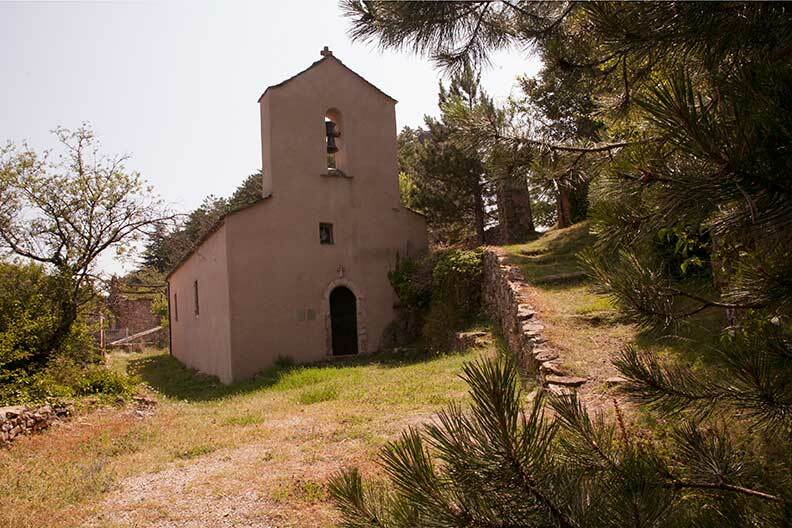 The hamlet of Esparon has its XIth century chapel and old cemetery. With its 25 houses. A unique vista and an untouched village with its stone alleys and no tourists. Le Vigan • Closest town. Buses from Nimes/Montpellier. Groceries .You will do all your market shopping. Cafes/restaurants/boulangeries... Farmers market on Saturday am. Great ecological produce. Fromage de chèvre and local wines, supermarkets. Musée Cévenol.Great museum on the history of the region with the war with the Huguenots and the history of the silk manufacturing. Aulas • Restaurants .A typical Cevenol Village with great produce and restaurants. 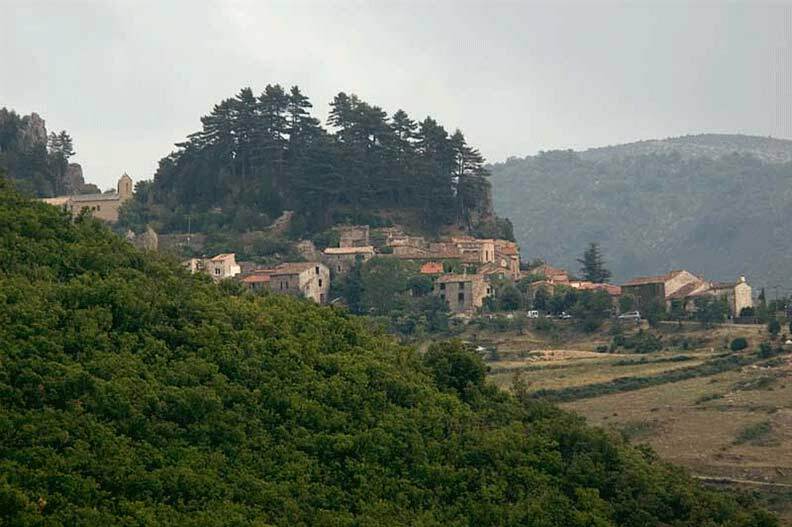 Alzon .A typical Ceveno village with great produce and restaurants. Molières-Cavaillac • Nice Cevenol village. 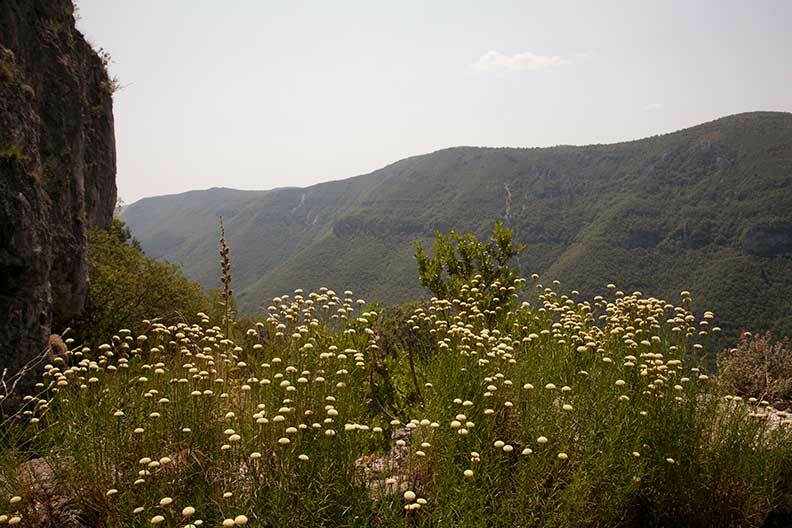 Walking distance from La Bastide d'Esparon, 4 kilometers on a beautiful trail. Arrigas. Typical Cevenol village, with many sheep. Great hikes. Bréau-et-Salagosse. Great village and start to some great hikes. Walking distance from La Bastide d'Esparon. Great local farmer's market on Sundays. Aumessas. Great start for beautiful hikes and picnics. Ganges • Restaurants .Great restaurants and farmer's market on Fridays. Grotte des Demoiselles.Beautiful Grottos. Fantastic hiking around. Sommières .Great old village. Great classical concerts. Great restaurants. Sauve..Fantastic miedeval village. great hikes. 2/ SIGHTSEEING AROUNG ESPARON- 20 TO 40 KILOMETERS. Observatoire du Mont Aigoual • Great vistas, fantastic hikeS, great observatory. Le Caylar. Great walks and picnics on The high plateau of Les Causses. La Couvertoirade. Old intact templar village. Cirque de Navacelles .Incredible canyon, Wonderful cascades. great picnic and swimming hideouts with no one there but you. Saint-Martial.Beautiful old village with roman chapel built in slate. Great hikes. Many great fields of onions. Les pépiniéres de la Bambouseraie. Kid-Friendly .Beautiful old bamboo forest and close to the famous factories that make the Provencal potteries in Anduze. Pic Saint-Loup. Wine country. La Vallee de l'Hortus. You can visit the vineyards and go on a hike or go to Montpellier. Arles.One of the most beautiful roman cities in France and a haven of culture and museums. Where Van Gogh painted. Uzès. Famous medieval city. Great restaurants. Pont du Gard • Sightseeing • 400 route du Pont du Gard. Beautiful intact Roman aqueduct. at sunset there is a 'son et lumiere'. Villeneuve-lès-Maguelone • CAMARGUE- The Mediterranean. Go to the beach for the day and see the Mediterranean. We often leave early and Maguelone is an exceptional beach, as soon as you walk 5 minutes from the entrance, you have no one. Millau. Go and see Norman Foster's amazing amazing Viaduct. Avignon. Famous Palais des Papes and old city of Avignon. Montpellier. Airport.TGV.Great Museums, close to the beach. Nimes TGV.Old Roman amphitheater, park, fountains, garden, restaurants.